To expect everyone to “just know what to do” is to assume everyone is meeting performance expectations. We know that is not true so, therefore, are their expectations realistic? Make no mistake. The purpose of feedback is PERFORMANCE IMPROVEMENT … and we all have room for improvement. In fact, strong leaders embrace continuous learning and development. That’s how they became a Strong Leader. How does feedback help improve performance? So what does a leader do when they find themselves in an environment that does not support feedback? They #ExerciseLeadership.Here is a quick, 7-step process to solicit feedback and improve your leadership effectiveness. Get clarity on EXACTLY what you want to accomplish. Perhaps you want to become a better communicator, be more engaging with your team, or improve your leadership influence throughout the organization. Take time to identify specific goals or behaviors that you want to improve. This is a critical step that will guide you through the rest of the process. Ask for feedback from a variety of stakeholders. Don’t just ask for feedback from your greatest fans. Talk with a variety of stakeholders that interact with you on an ongoing basis. This will provide you with a more “rounded” assessment of your performance. Direct reports, colleagues (other leaders at your level), your boss, vendors, consultants, or even customers might be great sources of feedback. WHO you solicit feedback from depends on the goals you identified in the first step. Manage the session so it remains positive and productive. It is okay to ask for clarity (i.e., What do you mean by “engage effectively?”) … but do not ask for an explanation (i.e., What do you mean “I don’t engage effectively?”). There is a difference. One question asks for clarity and the other can cause the person giving feedback to become defensive and hesitant. Don’t argue or try to prove a point. This is not the place nor time to debate details. Thank them for the feedback and share what you intend to do as a result. Identify specific behaviors you want to work on over the next month. Give them permission to give you feedback when they observe your progress or if they see you veering off track. Encourage them to watch and comment and thank them for their valuable feedback. Keep things in perspective. The feedback you receive is one person’s perception. It doesn’t necessarily make it “true.” However, if two or three people share the same feedback, perhaps this is a blind spot and warrants serious consideration. Continue the feedback loop. Marshall Goldsmith, best-selling author and one of the top 10 most-influential business thinkers states “Leaders that ask for suggestions from their direct reports – focus on improving 1-2 key behaviors – and follow-up on a quarterly basis – are almost always seen as dramatically increasing in leadership effectiveness.” It is much easier to change behavior than it is to change others’ perceptions. Continuing the feedback loop not only supports your development goals but, as colleagues acknowledge your progress and continue to give you feedback, the process will have a positive impact on their perception of you as a leader. There are two important keys to keep in mind as you go through this process: The goals and commitments must be measurable and the process must be manageable. 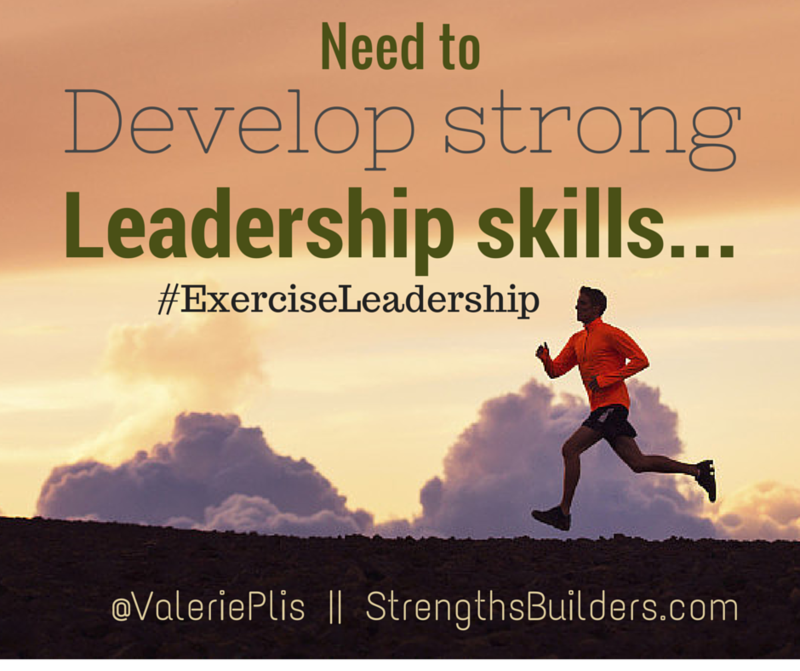 Now go … #ExerciseLeadership! Obtaining feedback is essential to helping us grow and keeping us grounded. One of the lessons I needed to learn and continue to practice is that we need to know what others “hear” which may not always be what we think we say. I have also found it very helpful to take the feedback, remove the emotion, and review it with my mentor. Wise counsel is invaluable to personal growth! That is great advice, Sue! When giving feedback it is very important to ask questions to see whether the message was not only received … but understood. The message and the messenger’s intent are both extremely important.